HLS is a specialist provider of access platforms and other solutions for safe and compliant working at height – available new and used for sale, and for incorporated business also on short-term hire and long-term lease. 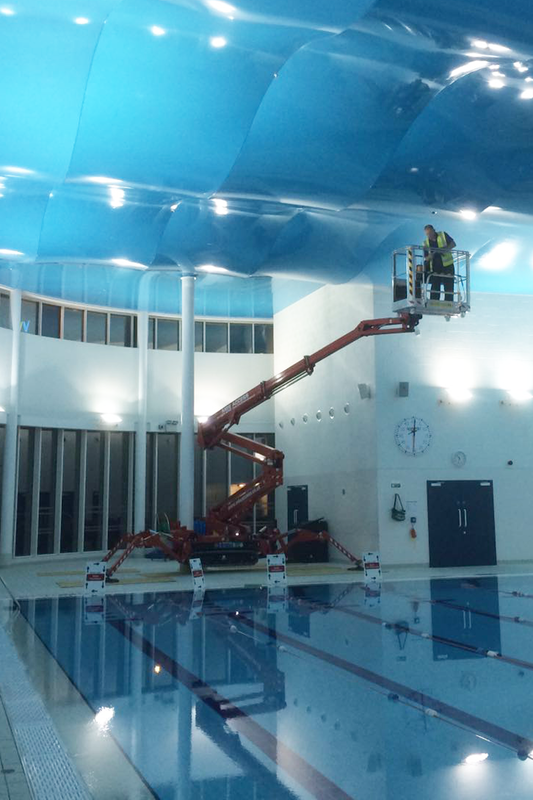 Looking for a spider lift for safe and compliant working at height? 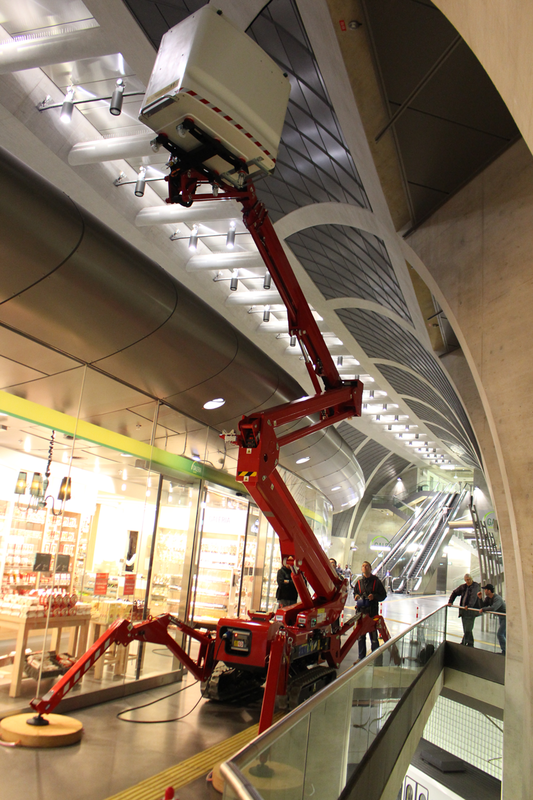 HLS offers a range of tracked access platforms – working heights range from 11m up to 26m. Tracked boom lifts – commonly referred to as spider lifts – are working at height solutions that reach out as well as up on uneven or sloping ground. Spider lifts achieve this by using outriggers, or stabilisers, which level the chassis to enable lifting even on challenging terrain. Tracked platforms are also ideal if you need to clear obstacles or access awkward areas, as they offer an excellent chassis size to working height ratio, and also offer a low ground pressure both while in transit and while lifting. 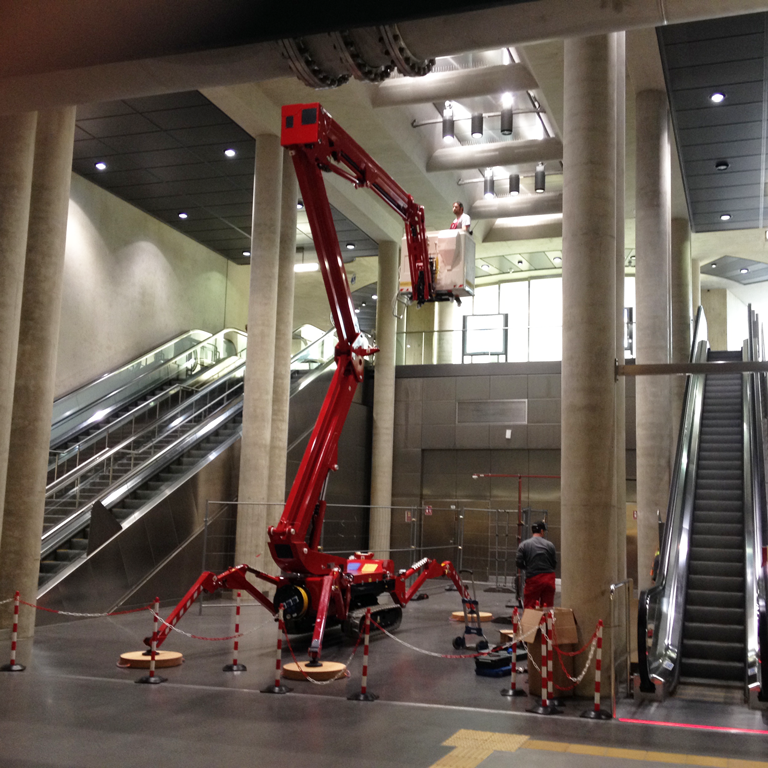 Spiders are often used for working in atriums and for outdoor work such as tree surgey. What are the different types of spider lift? Tracked boom lifts are ideal in a number of situations, they are perfect for working outdoors on sloping or uneven ground, they also work really well in atriums and other spaces where an operative needs very high reach but from a lightweight machine that won’t damage finished flooring, or crack tiles. Spiders are mounted on caterpillar tracks which enables them to travel over uneven ground, and ensures the weight of the machine is spread over a larger area. They use outriggers/ stabilisers to level sloping or uneven ground, before the platform is raised. Offering working heights of between 11m and 26m these machines offer both up and outreach, many models also have a rotating jib for basket positioning. Most standard specification machines are powered by a diesel engine and also have the option to run off mains power via a trailing cable. Tracked boom lifts are made to order, and are usually configured to suit the needs of the client, options include radio remote control / wired remote controls; power options (see below); track width adjustment - ideal for travelling on uneven ground; assymmetric jacking - perfect if you are short of space on one side of the machine; and insulated basket for utility works. 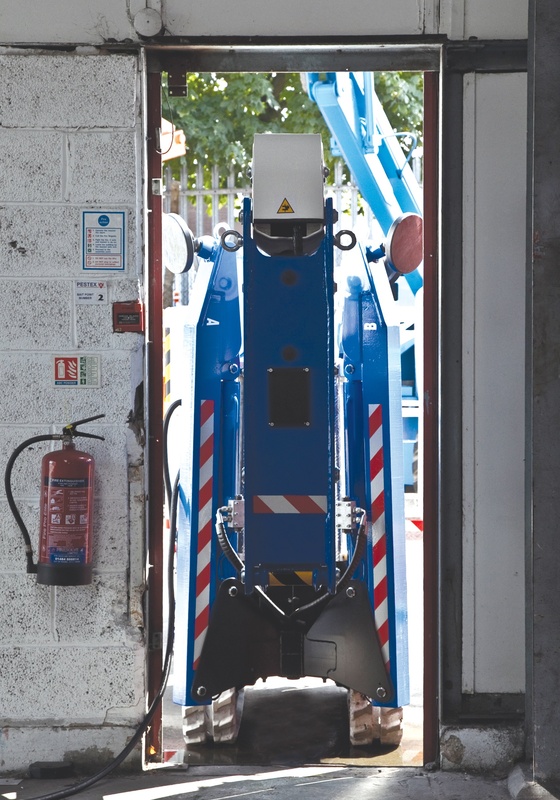 Most spider lifts have compact dimensions to enable them to travel easily through standard size doorways, the Bluelift machines also feature a quick-release cage to enable easy movement through narrow openings. Our range of spiders all have the option of a mains-rechargeable lithium battery pack in lieu of the diesel engine. Lithium power is ideal for indoor work, giving low-noise, zero-emission access to hard-to-reach areas. The spider has both diesel engine and lithium battery pack, ideal for where there is indoor and outdoor work on the same site. Has the benefit of unrestricted working using a combination of battery and engine power, allowing the operator to choose the most appropriate power source for the task. I think I need a tracked boom (spider) lift, how can I get one? Whether you need your spider for a few months or a lifetime, HLS can help. We offer a full range of B2B finance options on our boom lifts, including long-term lease, hire purchase and contract hire, as well as the option to buy outright. Need a lift finding the right product?